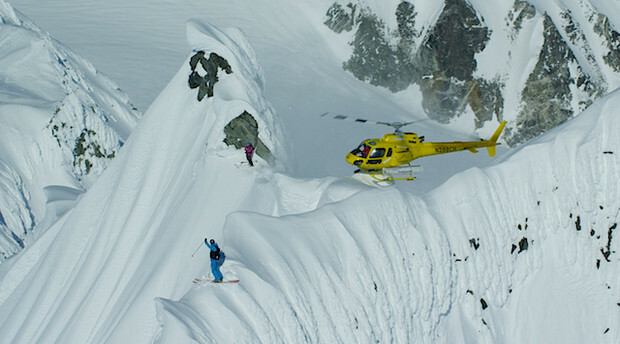 TGR co-founder Steve Jones with one big backside reason to care about climate change. Ryan Dunfee photo. Why do we care about the environment? Why do we feel it’s important to address climate change? Why is it necessary to contribute to a discussion on sustainability? Because, living in the mountains, we see climate change happening on a daily basis, right before our eyes. But most importantly, as patrons of the mountains, we have the responsibility to protect them, our winters, and our environment. “Why wouldn't TGR care about climate change?" said co-founder Steve Jones. "Our whole lives are based around having a healthy outdoor environment to play in. This is our arena. This is our responsibility." Snow sports in particular are reliant on cold winters – you know, the ones in which the temps stay below freezing. They require tedious and inefficient transportation to get to and from the mountains, and require gear that’s mostly made out of materials whose production only worsens the amount of carbon pollution in the air. Skiing and snowboarding are not sustainable sports… but they could be. While walking to Alaska to make our films might be unrealistic, that doesn't mean we're off the hook when it comes to our own carbon pollution. TGR photo. “We know that walking to Alaska is unrealistic," said Steve's brother and fellow TGR co-founder, Todd Jones. "We also know that the content we produce inspires people to get outside. They nurture a deep appreciation for our natural environment, and foster a community of mountain-minded enthusiasts." Addressing and mitigating climate change is an issue that needs to be tackled from the ground up–meaning it should begin with conversation and end with action. By contributing to a discussion on the affects of climate change, we hope to cultivate a discourse that can properly address both the actions and lifestyles that contribute to such an unsustainable future. "By putting out content that showcases our threatened environment," Todd said, "We are trying to educate individuals on what exactly is at stake, and how can you protect the outdoors if you don’t know what you’re protecting?" At TGR, we know we are by no means the picture of sustainability. We are aware that production for our large films will be a yearly energy expense at the hands of our environment, and we make efforts to reduce our energy outputs by offsetting our carbon emissions and minimizing our footprint. But it does not and should not stop there. 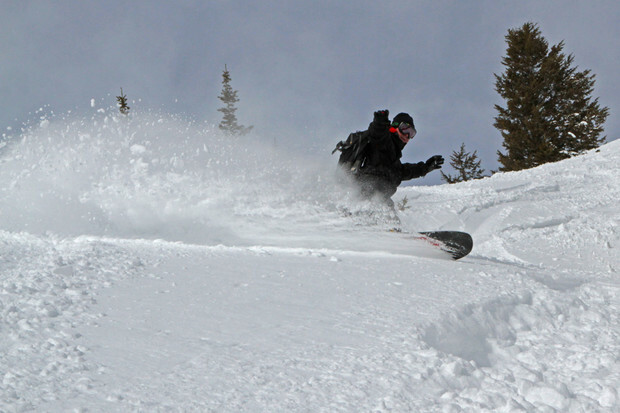 TGR employees Austin Hopkins and Jon Desabris, enjoying the fruits of stable winters. Ryan Dunfee photo. Change is not something that can be accomplished by one or two people, but rather the community as a whole. By working with organizations such as Protect our Winters we can mobilize our collective industry to make a difference, since the response and solutions need to be a scale that reaches far beyond our doors. But we realize, as well, that that message loses its credibility coming from us if we are not trying to walk the talk we speak. We firmly believe that staying quiet on the issue is not the appropriate course to take. Get involved with Protect Our Winters here, or discuss in the comments below what you feel to be the best course of action in 2015 to address our worsening situation with regards to worldwide climate change. Satisfied clients highly rate our medical essay writing writers on different sites such as Twitter and Google review.